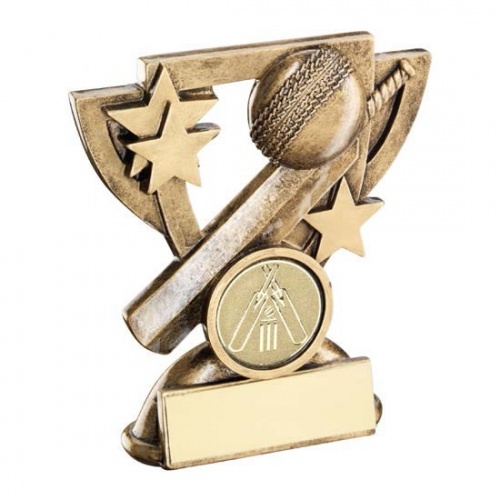 These affordable cricket awards are crafted in durable resin and have an attractive antique bronze and gold coloured finish. They feature a shield shaped frame enclosing a cricket ball and bat as well as a cricket theme medal. Available in two sizes, these cricket trophies are mounted on a base with engraving plaque and are offered with low cost engraving.